My impression was religious Jewish women wear skirts and dresses - and not pants - because pants are a man's garment and there is a prohibition against cross-dressing. However, when skiing, everyone wears pants, and wearing a dress is obviously impractical and even dangerous. My question is: Does Halachah allow Jewish women to wear baggy ski pants while skiing? Rav Yitzchak Weiss forbids ski pants on women in Minchas Yitzchak 2:108, though as noted by yitznewton in this question R' Yehuda Henkin permitted baggy pants on women, and presumably would have been okay with ski pants in particular. R' Weiss sums up his opinion with the laconic rhyme "לא תגלוש ולא תלבוש," which I still remember years after encountering it for the first time. As far as I know, the reason for women not wearing pants doesn't have to do with their being male garments. Especially today, nobody thinks twice upon seeing a woman wearing pants. I believe that the main reason for wearing skirts over pants is due to tzniut (modesty); however, a large number of modern poskim rule that there is no problem at all with women wearing loose pants. As yitznewton points out in this answer to a question, Rabbi Yehuda Henkin rules as such. Undoubtedly, some people will disagree. I remember hearing Rabbi Bertram Left (former O-U Synagogues director and before that a shul rav) answer this question raised by his teenage daughter (now a Judaic studies teacher at Stern College). He instructed her to wear a loose skirt over her ski pants. The first issue is that pants, by their very nature, may possibly be considered men’s clothing. If so, it may be a violation of the verse in Dvarim (22:5) not to wear clothing of the opposite gender. There are two explanations for the prohibition. The first is that found in the Sefer haChinuch (Mitzvah 542) that the reason for the prohibition is to prevent inappropriate mixing between genders that can lead to inappropriate activity. 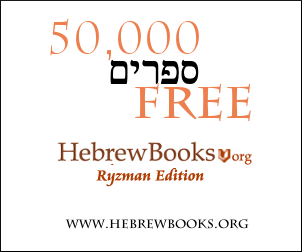 The second reason is found in the Rambam’s Moreh Nevuchim. Essentially, he states that the Torah concerned with the inappropriate thoughts that cross-dressing can engender. Perhaps we can suggest that the debate cited in the Acharonim regarding Purim as to whether or not one may dress up with some clothing of the opposite gender but not all clothing may revolve around this point: According to the Rambam, even one article of clothing of the opposite gender could engender inappropriate thoughts. According to the Sefer HaChinuch’s reason it would not apply. The Mishna Brurah recommends being stringent. There are also Poskim who cite proofs from psukim that indicate that pants are a uniquely male article of clothing, by definition. The second issue is the issue of Tznius – modesty. The Meiri in Kesuvos (72a) explains that there is a general prohibition in appearing in immodest attire. The sages explain that the honor of a Bas Melech is pnimah – inward. The Queens of England has a certain dress protocol, that at least in some form or another, was once generally kept by the first ladies in this country as well. An inherent aspect of pants is that by nature it is form revealing, and thus not in line with the parameters of the ideal form of modesty. The Radbaz (Responsa #770),and the Shach (YD 340:22) both write that it is forbidden to dress in a manner where one would be able to detect the shape of the limb through the clothing. Indeed, although we do not pasken like this opinion, the Bach (Yoreh Deah 340:10) goes so far as to write that it is equivalent to the bare skin. Other Poskim who forbid seeing the shape of the lower limbs are the Chochmas Adam (Klal 152:6), the Kitzur Shulchan Aruch (195:3),the Be’er Heitev (340:13), and the Maharsham (Daas Torah 75:1). The third issue, discussed by Rabbi Moshe Feinstein zt”l (Igros Moshe YD I #81), is a violation of ubechukosaihem lo sailechu, “do not walk in their ways.” It is a violation of walking in the ways of the gentiles if one adopts a practice that originated and is practiced by gentiles that involves either idol-worship or immodesty. A fourth possible issue, discussed by Rabbi Ovadiah Yosef (Yechaveh Daas III #67) zt”l, is the prohibition of v’lifnei Iver lo sitain michshol – do not place a stumbling block in front of a blind man.” Some of the ski pants or snow suits, it seems, would fall under this category. And now onto the rulings of the Poskim. It seems that there are three opinions on the matter. It is clear from a responsa of Dayan Yitzchok Weiss zatzal (Minchas Yitzchok Vol. 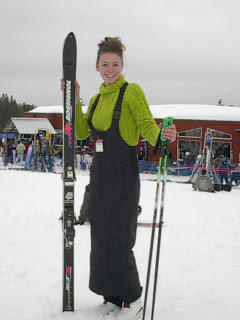 II #108) that he is of the opinion that skiing is not permitted for women because they may never wear ski pants, even if it is covered over with a skirt. Rav Ovadiah Yoseph wrote in a responsa (YO YD VI #14) that when dealing with certain (baggy) pants that are clearly designed for women and are so loose that they are not shape revealing, they do not violate either of the two issues, although he clearly expresses a preference for the fully modest skirt over this type of pants. It would seem from the responsa that he would hold that thicker ski clothing may not necessarily reveal the shape of the lower limbs. However, someone once mentioned to me that he had subsequently changed his mind on the matter of baggy pants. I have not found this in print, though. Rav Elyashiv zatzal, however, held otherwise. He held (as cited in the Yashiv Moshe page 170) that women may wear ski pants if they are covered by a skirt. The next question is whether the length of the skirt that goes over the ski pants would cause a danger either to her or to others on the ski slope. Clearly the skirt must be wide enough so that it not pose a danger to herself or to others. It seems that most observant female (Ashkenazik) skiers in Eretz Yisroel follow the view of Rav Elyashiv. Working with this, although one should ask one’s own Rav or Posaik, it would seem that it would be forbidden for a woman wearing an appropriate length skirt to ski on anything but a beginner’s level slope., on account of the danger. Later, when she is certain that she can manage and she has a wide enough skirt, then she can go down the more advanced ones. Not the answer you're looking for? Browse other questions tagged women clothing sport-athletics lo-yilbash .